Field your Archons' spectacular clashes in style with the Architect’s Vault Two Player Gamemat for KeyForge: Call of the Archons! Whether you are participating in a high-caliber tournament or simply playing around the kitchen table, this high-quality playmat presents your cards in stunning fashion, featuring rich art from the expansive and enigmatic world of KeyForge. 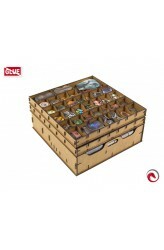 This 36”x26” mat provides the perfect play surface to protect your cards from stains and spills, keeping the focus on your adventures in the Crucible. 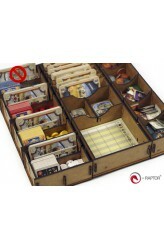 Complete with marked sections for your keys, Archon, draw deck, discard pile, and archive, this mat keeps your chaotic clashes organized and immersive. 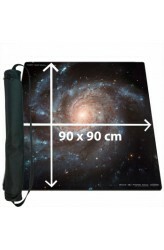 ..
A large (90x90cm) square playmat with an realistic space image, photographed by NASA. This will add some extra atmosphere to your space battles. These playmats come with a thickness of 2mm and a smooth surface. 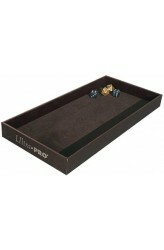 The backside is covered with rubber material to provide anti-slip behaviour at the game table. This product comes in a handy nylon carry bag which is perfect for easy storage and transportation of the playmat. 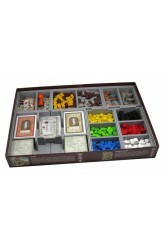 A cardboard rod is included to avoid damage or bending of the playmat. High Quality Playmat for professional gameplay. 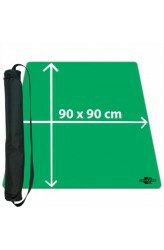 - softly cushioned playmat of 2mm thickness - Ultrafine surface - provides safe environment for cards, miniatures and accessories - anti-slip surface at backside - nice dice rolling and comfortable feeling - wi..
A large (90x90cm) square playmat in fresh green color. 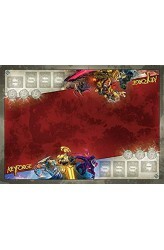 These playmats come with a thickness of 2mm and a smooth surface. 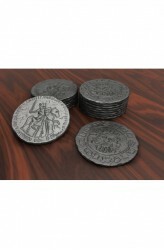 The backside is covered with rubber material to provide anti-slip behaviour at the game table. 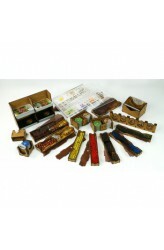 This product comes in a handy nylon carry bag which is perfect for easy storage and transportation of the playmat. 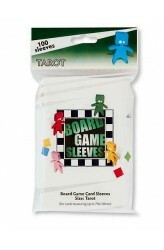 A cardboard rod is included to avoid damage or bending of the playmat. High Quality Playmat for professional gameplay. - softly cushioned playmat of 2mm thickness - Ultrafine surface - provides safe environment for cards, miniatures and accessories - anti-slip surface at backside - nice dice rolling and comfortable feeling - with rubber-printed Blackfire Logo Measurements: 90x90 cm .. Premium Velvet Lined Dice Rolling Tray. Felt surface for quieter rolling. 2.5cm tall walls keep dice inside. Non-slip foam feet. https://youtu.be/7sjaaKrRSyg .. 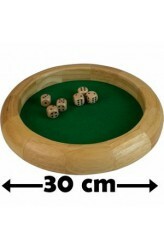 Wooden Dice Tray with a diameter of 30cm and 6 natural wooden dice (D6). 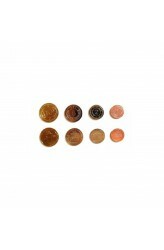 - Soft fabric inlay for silent dice rolls - round shape with a diameter of 20cm ..
Nottingham 1100 A.D.: The True King is away in the Holy Lands and the town is under rule by the evil tyrant, Prince John. He has forced matrimony upon Maid Marian and locked her in his castle against her will. The young princess sends word of her captivity to fabled outlaw and her true love, Robin Hood. He vows to save her with help from his Merry Men — faithful souls who would follow him to hell and back! But this time, Robin sees doubt in their eyes. Little John, Will Scarlet and the other Merry Men deem the mission so perilous—it could plunge Nottingham into turmoil. Torn between love for the princess and his town, Robin devises a plan to save both! He proposes a challenge, betting his men that none can protect Nottingham as well as he. If one of them bests him at this task, he w..